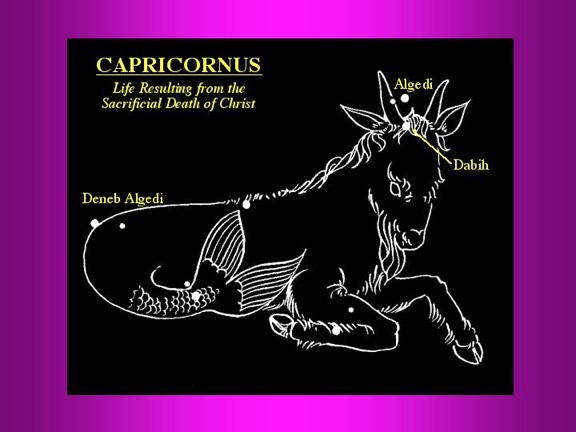 Capricornus is a figure of a creature that is half goat and half fish. Leviticus says that a goat was used to atone for one’s sins. Matthew describes the fish as a symbol of restoration. In order to obtain salvation, you must first confess your sins. Then, God can work on your heart, so that you may rise above from your sin. For more details on this, see my article on Salvation.